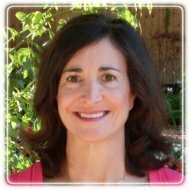 Bellaire Therapist: Debbie Grammas - Therapist 77401. Send A Message To Dr. Grammas. Welcome! You may be experiencing one of life’s many challenges: going through a life-altering transition, struggling in your relationships, grieving the loss of a relationship, struggling in your work or school, or not happy where you are in life. Together we will explore ways to help you meet your personal goals. Since 2005, I have had experience working with clients in many types of settings including college counseling centers, a community mental health center, the Michael E. DeBakey Veterans Affairs Hospital, and Texas Children’s Hospital. With training in a variety of conventional forms of therapy, I draw upon their strengths to meet the unique needs of each individual or couple. I also supplement therapy with mindfulness training and various relaxation techniques. Forms of therapy I use include: Cognitive-Behavioral Therapy, Schema Therapy, Interpersonal Process, insights gained from Positive Psychology, and Existential approaches. The first time we meet in person, we will discuss any concerns you have and go over personal history which may impact your distress. If you are being seen with your partner or in group therapy, each client will be identified. We will discuss your personal goals for treatment and any alternatives available to help you.